Equally nerve-wracking and exciting, buying a first home is nevertheless seen as a rite of passage by many people in America. The dream of having your own house, of not having to hear your neighbors walking above or below, of being free of leases and rent changes, is extremely compelling. At the end of the day, if you do it right, it’s all worth it. 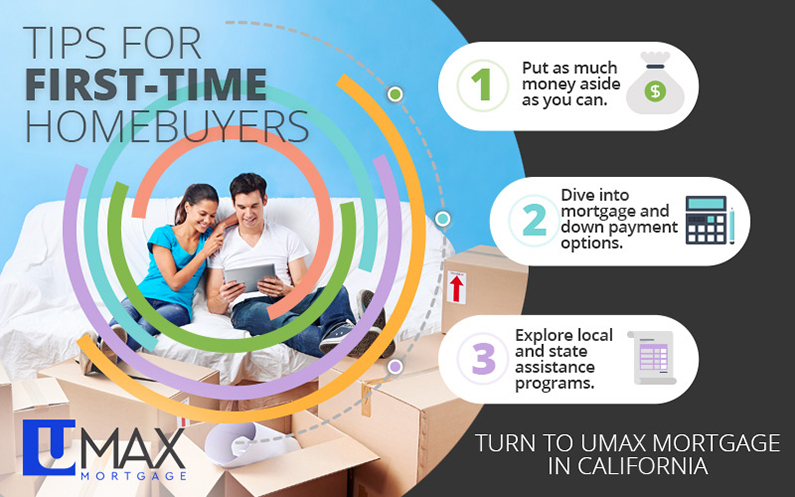 At UMAX Mortgage, first-time homebuyers have a special place in our hearts. There is nothing we love more than coming alongside new buyers and working tirelessly to get them the very best financial situation possible. We understand the risk of buying a house, and that is why we put clients’ interests ahead of our own. We are here to serve! The one thing that surprises many new homebuyers is the sheer amount of learning they need to do. Sure, most people expect a bit of a learning curve, but if they’re tackling it without professional support, it can be more stressful than it actually needs to be. That is why the UMAX team is so passionate about educating our clients, equipping them with accurate, easy-to-understand information that empowers them to make informed decisions. 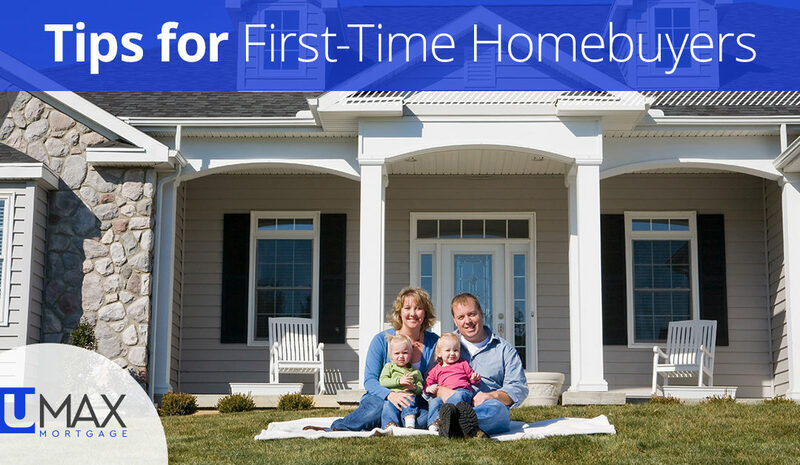 In today’s first blog, we want to discuss some of the foundational things that can help first-time buyers as they walk the path to their first home. Yes, it’s usually more fun to browse listings and dream of what could be. You may even be tempted to tour a few open houses. However, you really shouldn’t set a serious foot into any new home until you have your finances in order. Otherwise, you’ll be putting the cart before the horse and run the risk of falling in love with a home you aren’t prepared to buy. Many times, homes get snapped up quickly, so you should cross that threshold armed with the ability to make an offer. Here are some insights that will help steer you and ensure you’re prepared. Put as much money aside as you can. Though there are some situations in which you can buy a house without a down payment, it is rarely a good idea. The cash you put down will reduce your mortgage’s interest rate and monthly payment, and putting nothing down means starting at the bottom of your mortgage mountain and getting locked into a high interest rate. Instead of letting this happen, strive to put down as much as you can. 20 percent of the selling price is common. Dive into mortgage and down payment options. There are several different types of mortgages, and each has its own advantages and disadvantages. They can be chosen and tweaked to fit your unique situation, so consult with experts like the UMAX Mortgage team. We can walk you through conventional mortgages, FHA loans, VA loans, and more. Explore local and state assistance programs. Both the federal government and states offer assistance programs just for first-time homebuyers like you! These benefits include closing cost assistance, down payment assistance, discounted interest rates, and tax credits. We are very familiar with California’s unique programs and can help you make the most of them. Taking that first step toward owning a home can be easy as giving us a call. We aren’t here to lock you into a commitment; instead, we are eager to show you the possibilities and understand your situation so we can help you move forward. Contact the best mortgage lenders in California today!